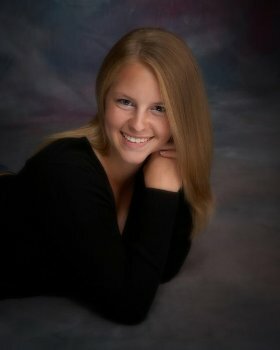 My name is Michelle Nyberg and I am currently a freshman at the University of Wisconsin- La Crosse. I am majoring in Pre-Veterinary and Biology. I created this website for my Organismal Biology course. Ever since I was young I have wanted to be a veterinarian. I have always loved animals and wanted to help care for them. I chose the dog because as a vet I will be working very closely with this animal. The dog is also one of my favorite animals. I grew up with one dog from the time I was born until I was about 13. 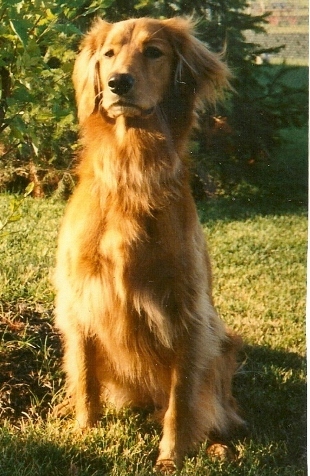 My dog, a Golden retriever mixed with Irish setter, was named Shana. She was the best dog I could ever ask for. When I was younger I would always be examining her and trying to diagnose her like a vet would. Dogs are common pets, but not a lot of people know scientific facts about them. I learned a lot more about the domestic dog from creating this website and hopefully you learned just as much. To see my sources, click here.